Like other Qualcomm processor chipset devices, the Vivo V7 also supports Emergency Download Mode or EDL Mode. This mode will be much handy when your device gets bricked and unable to unbricked using the ADB. All credits goes to Android developer member team for working on the EDL mode. Here below is the simple guide to Vivo V7 boot into EDL mode. EDL stands for Emergency Download mode. This is the special mode though which users can perform various tasks like unbricking, unlock bootloader, and installation of any custom ROMs. It’s really must to understand that EDL mode flashing is an universal method for all Vivo devices. But EDL booting process may be different for different devices. For some devices, you can use EDL boot command but problem is that now a days edl command don’t work for all latest Vivo smartphones. So test point is the easiest and perfect method to boot any Vivophone into edl mode using test terminals. 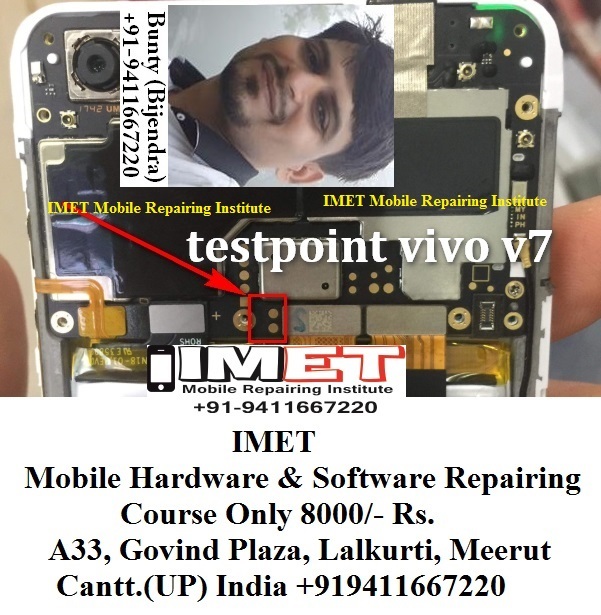 So now the point is that where is the Vivo V7 EDL mode PINOUT or EDL test points? This post is only to find the Vivo V7 edl mode that can be use to flash fastboot rom using Mi flash tool.